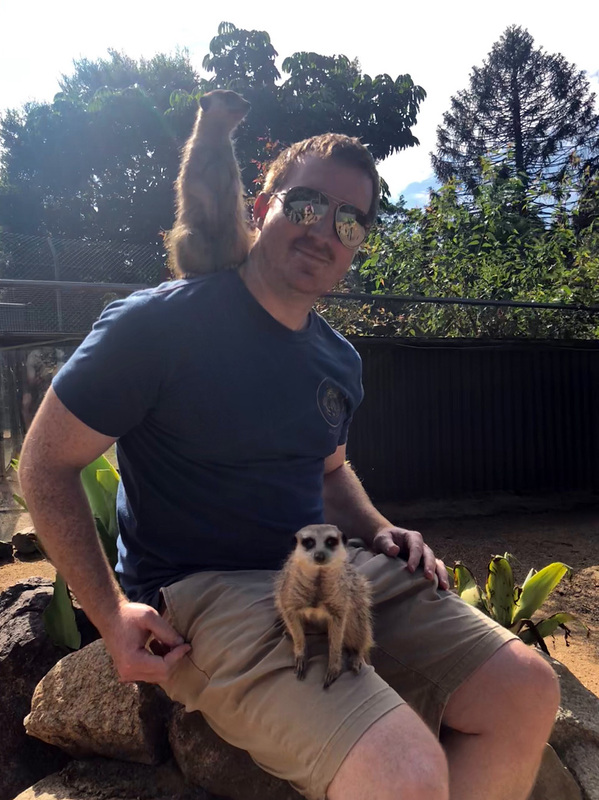 Mike Robertson and brother Mitch photos : We sold a zoo! :DomainGang Mike Robertson and brother Mitch photos : We sold a zoo! 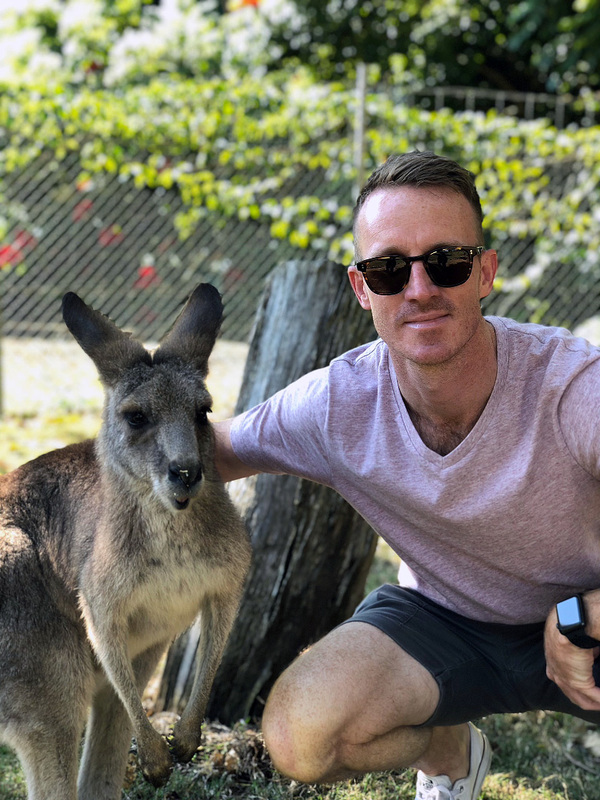 Domain industry veteran, Mike Robertson, visited his homeland Australia last month, to catch up with family and friends. 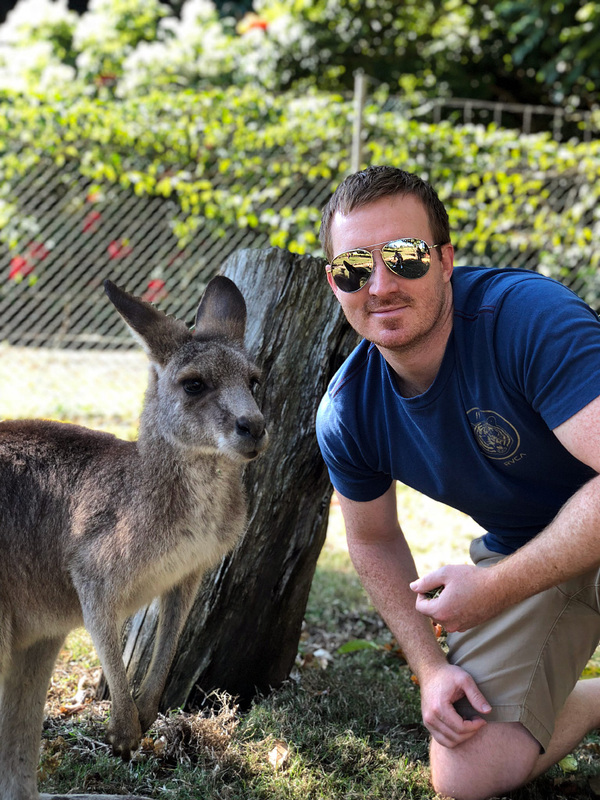 In the past we joked about how Mike might be getting a zookeeping job Down Under, and that was in good jest. 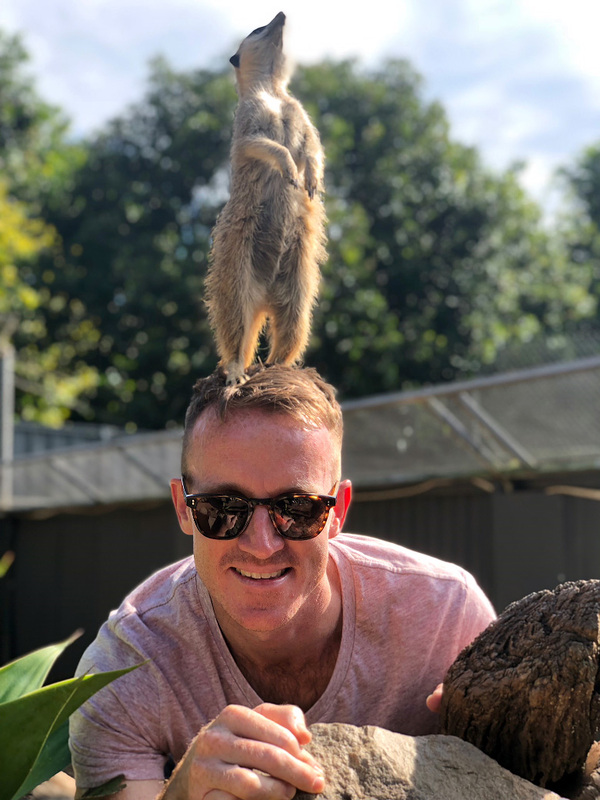 This time around, Mike took the opportunity to hop off to Brisbane, meeting with his twin brother Mitch. 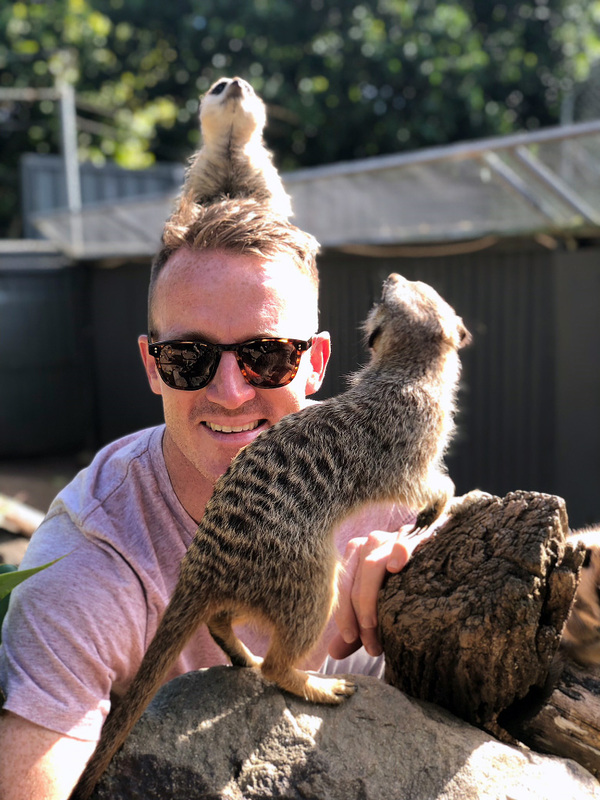 The Robertson Twins then took some fun photos at the local zoo, with kangaroos and meerkats joining in. 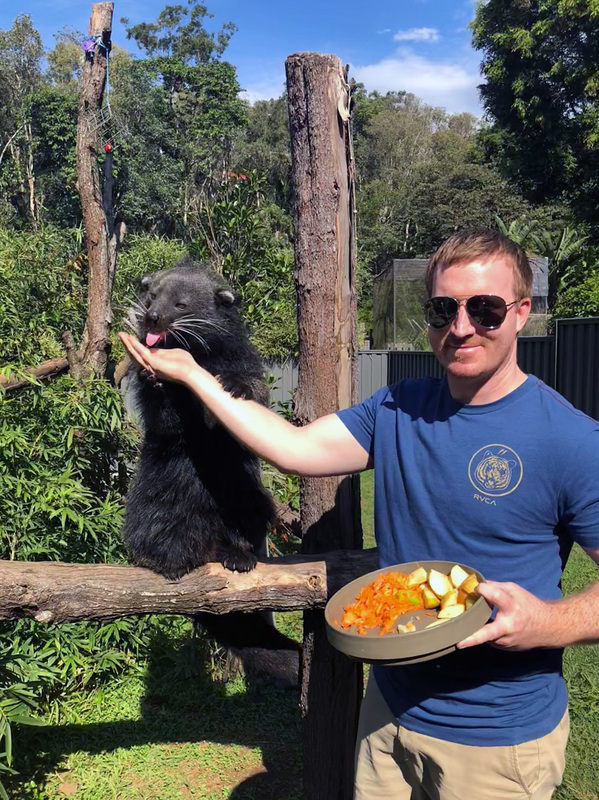 On top of it all, Mike told us that he recently sold a major zoo related geodomain – but we promised to keep the actual domain name a secret, after negotiating on TimTams. Just kidding about the candy, but the domain sale is still a secret for now, unless Mike gets it okayed. He not changed a bit Skippy still looks the same after all these years.